This is a beautifully illustrated pack of activities that can be played with babies from birth to 18 months old. The activities are very interacting and show how everyday tasks can be turned into a learning experience. 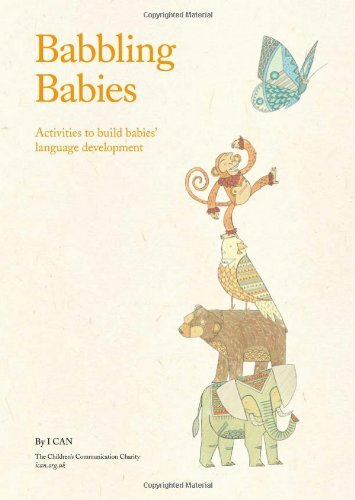 The aim is to support and develop the baby's communication skills. It was developed by practitioners and speech and language therapists. Each activity has an idea for babies from birth to 6 months, 6 - 12 months and 12 - 18 months. The activities focus on the 5 important elements of communication development: playing and interacting, learning to listen, learning and understanding new words, expressing myself and exploring and developing.